Adam Duritz, Tate Donovan, Brad Pitt, Vince Vaughn, Jason Lewis, Owen Wilson, Orlando Bloom, and the list seems to be endless. No, you are not reading the credits of any Hollywood flick, these are the names of beaux of Jennifer Aniston. 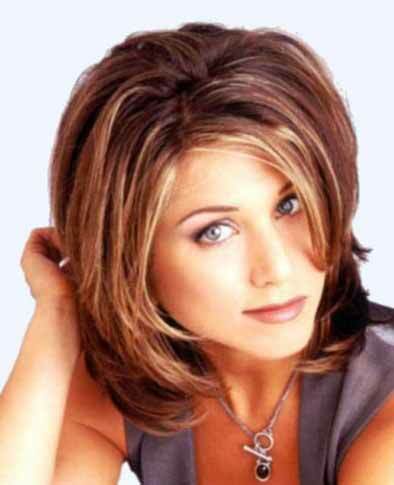 The American film and television actress Jennifer Aniston is looking for a soulful soulmate. You can say that The Good Girl is on the hunt for The Object of Affection. Ganesha would like to say something about her chances of finding soulmate and when she will find suitable sperm donor. After separating from Brad Pitt, Jennifer has been seen to have hooked up with more than one celebrities. However latest news is, she has been hooked up with Owen Wilson. Latest news also says that Orlando Bloom was found flirting with Jennifer. All these signals are indicating that Jennifer desperately needs a compatible companion. In a horoscope, Venus stands for love and related matters. Her Venus Return is happening on 13th April 2008 at 19 hours 22 min. Ganesha notes that fifth house of love is occupied by a Natural malefic planet Rahu - the North Node and it's Lord Saturn is retrograde and aspecting the fifth house. Uranus is also present in the fifth house. Mercury has created Neech Bhang Raaj Yoga in the sixth house with exalted Venus. All these factors are indicating that she has likelihood of finding a Soul Mate before next Venus return happening in the month of February 2009. With this Venus return occurring on 13th April 2008, her search may become more 'vigorous'. She has chances of falling for someone working with her, notes Ganesha. Time of birth 22 hours 22 min. In her horoscope, fifth house signifies progeny and related matters. Ganesha observes that in her chart, Lord of the fifth house Saturn is placed in the sixth house in Revati Nakshatra (Constellation) ruled by Mercury. Saturn itself is a slow moving planet, Mercury is impotent planet and here Saturn is posited in Mercury's constellation. This is one factor leading her to seek donation of sperms. Ganesha also notes that her seventh house Lord Mars is posited in Scorpio in the second house with Moon and Neptune. Therefore, she possesses powerful womb for successful delivery but as transiting Mars is currently retrograde ruling her seventh house, she is facing difficulties in finding the right donor. When Jennifer Aniston may find the suitable donor? Ganesha observes that Retrograde Saturn aspecting her fifth house of progeny till 2nd May 2008 which may cause delay and difficulties in the matter. She must not let any chance go in vain. Ganesha notes that last week of June to July second week in 2008 is favourable period for the matter. Ganesha strongly feels that childbirth may take place out of operation only and there are hardly any scopes of normal delivery. Ganesha wishes good luck to Jennifer Aniston for her search for the soul mate and for successful conception.